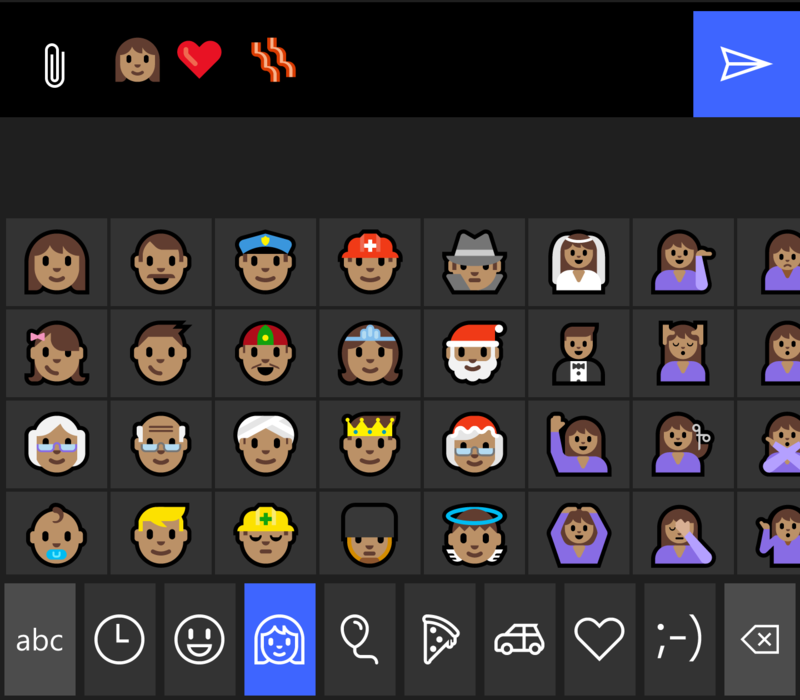 Microsoft today released Windows 10 Anniversary Update which includes a completely new emoji design, full Unicode 9 emoji support, as well as interracial and single parent families — a first for any operating system. This version of Windows includes over 52,000 new emojis when all family combinations are taken into account. You read that right, fifty two thousand. Oh, and Ninja Cat. Can't forget the Ninja Cat. Above: New Emojis Included in Windows 10 Anniversary Update. There's a lot to cover in this Emojiversary Update (as I'm calling it), which is now available for Windows and Windows Phone users. This release of Windows, which has been in testing for several months, includes gorgeous new designs for every single emoji in the set. 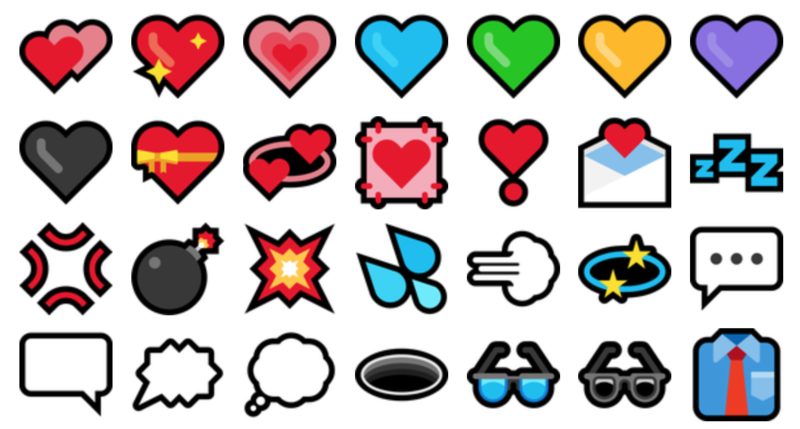 Above: Selection of emojis shown in the latest Windows 10 update. Crisp, thick outlines surround each emoji, giving each a refined appearance, especially on high resolution screens. Top: Windows 10 (old); Bottom: Windows 10 (new). Asked about the design, Microsoft told Emojipedia that one of the reasons for the thick stroke was to allow each emoji to be easily read on any background color. 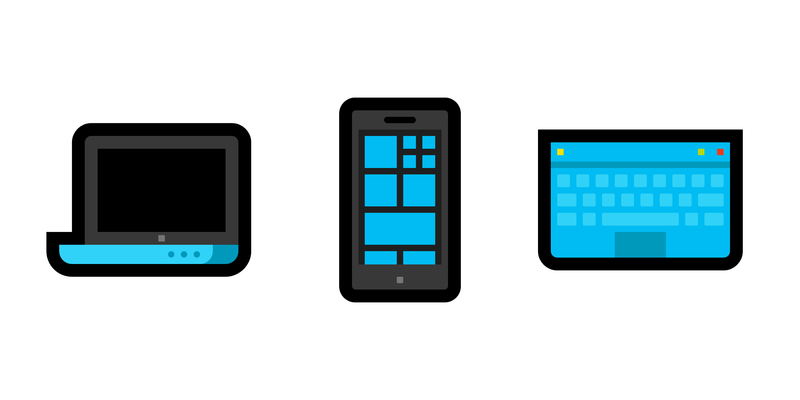 In addition, the design was chosen to be "harmonious with icons, controls and other elements" of Windows 10. The result is a beautiful set, which work well on screens large and small. It’s clear that Microsoft has also aimed for a distinctive emoji design that is not like any other on the market today. Many (myself included) have had a chuckle over the years at some of the emoji designs in the previous Windows versions which really look like they fell to the bottom of the pile. Above: Windows 10 replaces atrocities such as the previous Octopus (left) with a beautiful new design (right). The new set really does add a sense of professionalism and consistency that was not present in past releases. Kudos to all involved here. 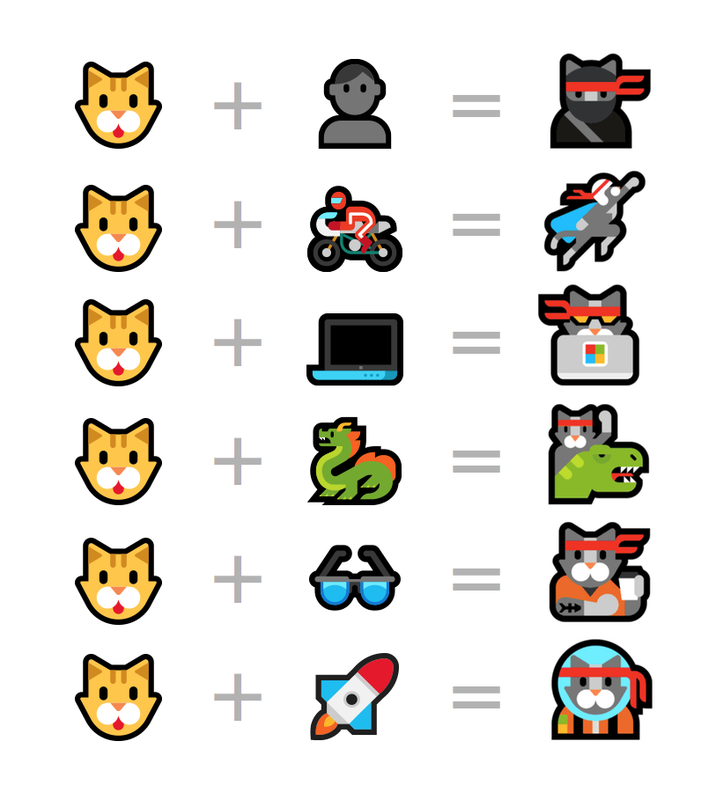 Above: Emoji families of all types available in Windows 10. Single parent and interracial families have been frequently requested of Emojipedia, yet vendors have been reluctant to support this until now. 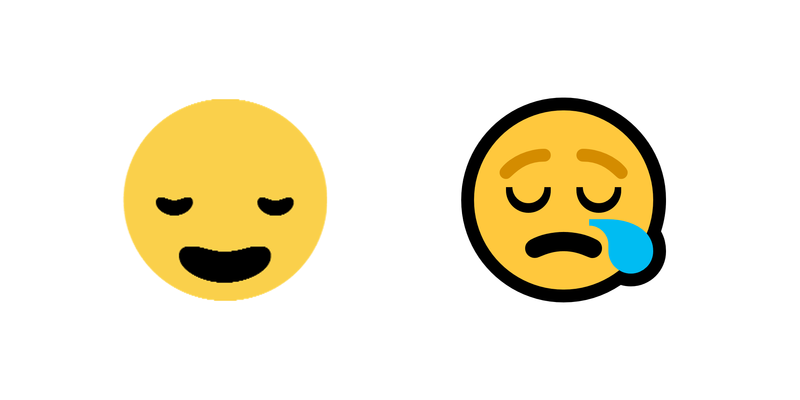 These emojis have been technically possible for quite some time using Emoji ZWJ Sequences, which is how existing family emojis are already created. In short, this joins together each family member to create a new emoji. 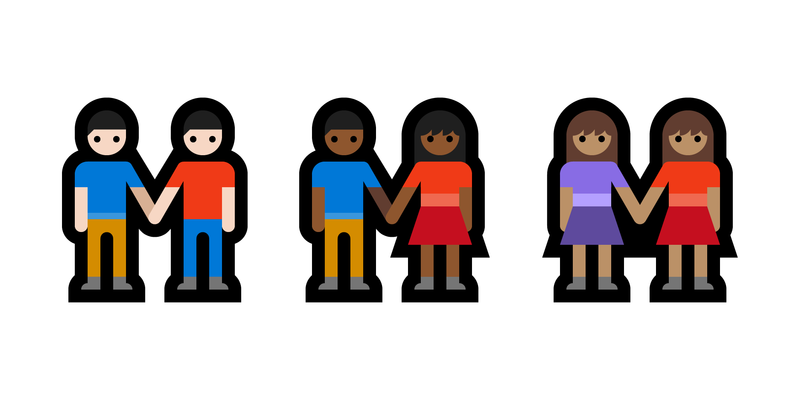 Lack of support for interracial emoji families on other platforms may relate to user-interface and/or technical constraints in supporting so many combinations. Above: Sending a new family emoji to iOS will show the individual emojis instead of a unified character. 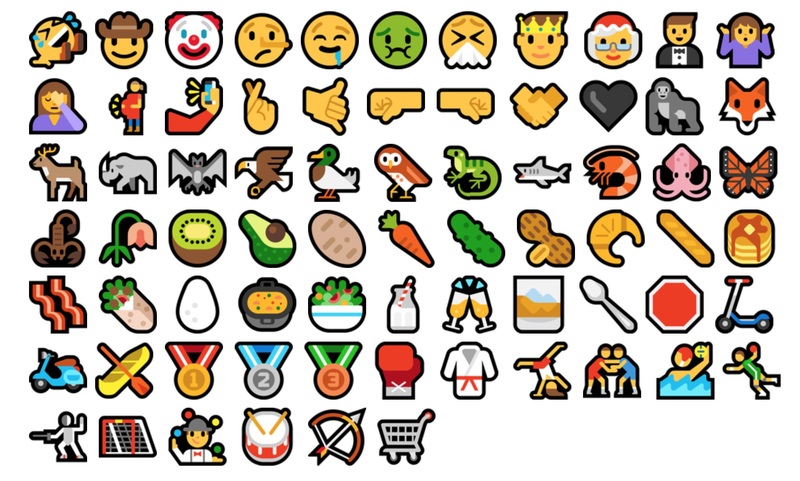 Windows today becomes the first major operating system to include 72 new emojis released as part of Unicode 9.0 in June 2016. New emojis supported include face palm, fingers crossed and shrug. Above: All 72 new emojis from Unicode 9 showing on Windows 10 Anniversary Update. Many of the new emojis also support modifiers for skin tone, resulting in a larger set when these are taken into account. In addition to new Unicode 9 emojis, this is also the first Windows release to support Unicode 8, as well as some previous Unicode characters that have been granted emoji presentation. For those not familiar with Ninja Cat, this character is part of an ongoing meme in the Windows 10 Insider program. A mascot of sorts. 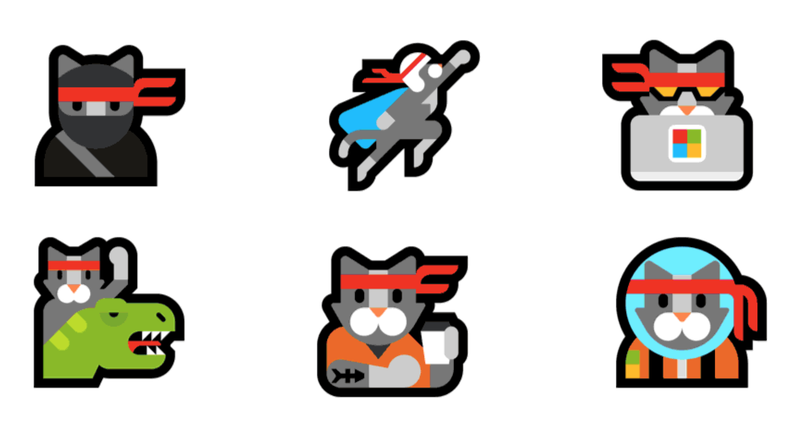 Above: Six Ninja Cat Emojis are exclusive to Windows. It goes without saying, everything changed in this update. Not a single emoji was left the same, so consider this more of a trivia section. 🔫 Pistol has shown as a toy ray gun in Windows since 2012, but this was changed to a revolver to match all other vendors in today's update. Above: Pistol previously showed a toy ray gun (left) on Windows, and now shows a revolver (right). Many of these have a catch, in that there are two people shown for a single emoji codepoint. Above: Couples holding hands support skin tones. For the above characters, every person in the emoji changes skin tone. There is no way to individually change the skin tone of each person. 📆 Tear-Off Calendar shows the date "31". Other companies commonly put a significant date for their company on the image. 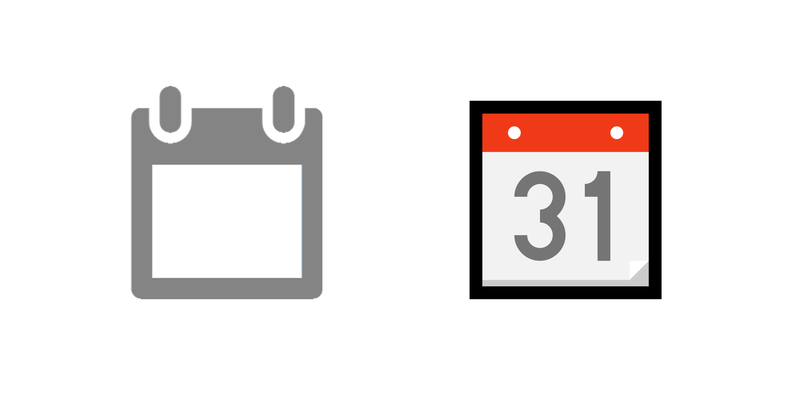 Tear-Off Calendar updated on Windows 10 Anniversary Update (right). I'm told the 31st has no special meaning, but is "a great date visually". Above: Tech emojis get a Microsoft look on Windows. 😪 Sleepy Face has changed from a generic version of what might consider sleepy to now include a snot bubble in tune with the Japanese origins of this emoji. Sleepy Face updated on Windows 10 Anniversary Update (right). A red and white striped 👕 T-Shirt adds some style to the previously plain yellow version. 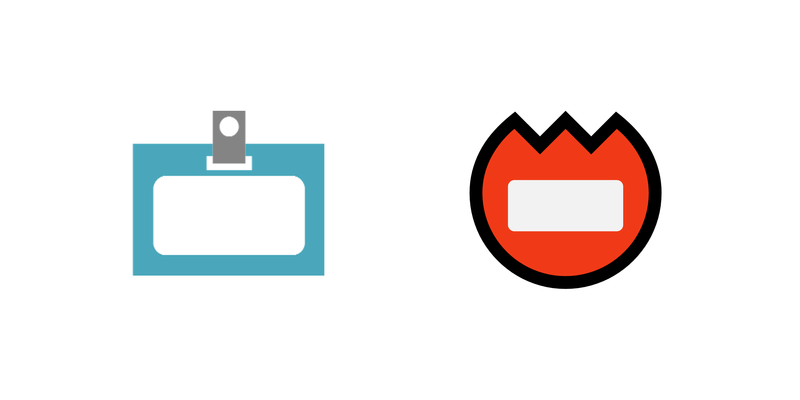 📛 Name Badge now mirrors other platforms with the tofu on fire style of badge. A change from the previous generic conference badge. Name Badge updated on Windows 10 Anniversary Update (right). On the desktop version of Windows, the so-called "touch keyboard" is starting to show its age, with very few changes to the interface since the original keyboard in Windows 8.0. Many of the new emojis and combinations aren't available on this keyboard, but I am told there is more to come on this front. It is yet to be seen how all the family combinations might be made available. In the meantime, users must resort to copy-and-paste to access emojis not shown on the keyboard. Sending an emoji with a skin tone to an unsupported platform will show that skin tone as a colored square after the emoji. Windows 10 Anniversary Update is a free upgrade for all existing Windows 10 users, and is rollout out now.